Lazybed makes sheets with the ideal thread count – 480. When it comes to thread count, more is not always better. Don’t be fooled. That’s because high thread counts — like 1,000 — are achieved by twisting threads together into multiple-ply “threads” that are then woven together. Does this make a higher quality sheet? On the contrary, it is a technique often used to mask a lower-quality of cotton. We use a higher quality of cotton and therefore we can achieve a perfectly ideal thread count for maximum smoothness, softness, durability, and comfort. Each of our threads is single-ply cotton of the highest quality instead of multiple threads of low-quality cotton plied together. A Sateen weave means that each thread is woven into a “one-thread under, three threads over” pattern. What does this do? It exposes more of the cotton’s surface. 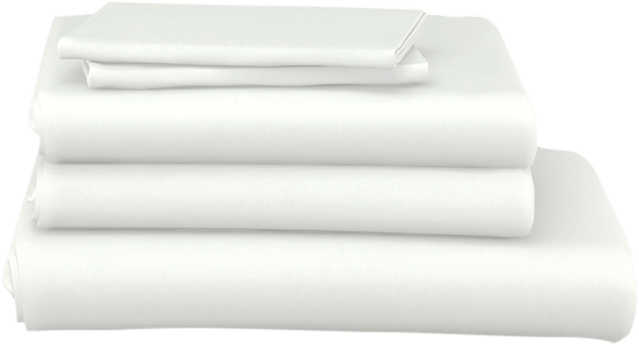 Since our cotton is of the highest quality, this gives you the most vibrant, shiny, soft, and buttery smooth sheet imaginable. Each of our threads is made from “long staple” cotton. A “staple” is an individual fiber of cotton. When staples are short, they can stick out every which direction and have a “frizzy” or coarse feel. When the staples are long, like ours, the cotton is a higher quality and produces a much smoother product. Our sateen-woven and long-staple cotton sheets are warm for year-round comfort and their luxurious feel outlasts the competition, leading to a more comfortable night’s sleep for years to come. Our breathable yet warm sheets are the softest weave imaginable – you will literally feel like you are sleeping in a warm, cozy cloud! Durable, shiny, lightweight, and wrinkle-resistant, Lazybed sheets drape well and are not only functional but also aesthetic, improving the look of any room.